These are a few of my favorite things. When the kids scream. When I sleep late. When I forget to eat. I simply remember my favorite things, and then I don’t feel so bad. I was walking around our local thrift store when I spotted this really awesome SNICKERS® tin. It was perfect for this Mom’s Break Tin I’ve been wanting to put together. I grabbed some of my favorite things, including of course some SNICKERS! No longer do I get 8 hours of sleep, and my eating habits have gone a bit awry. Mom’s Break Tin is my place to reconnect. 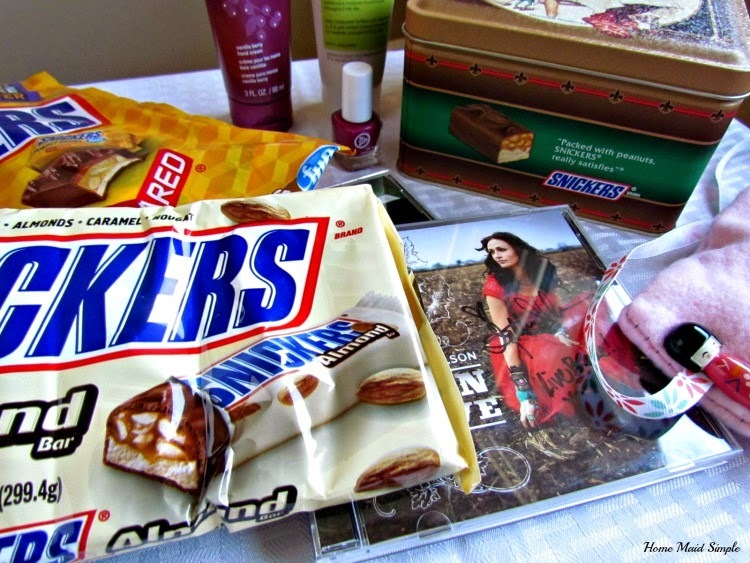 I’ve got some chocolate to refuel, my favorite music Cd’s, and some pampering products like nail polish and lotion. 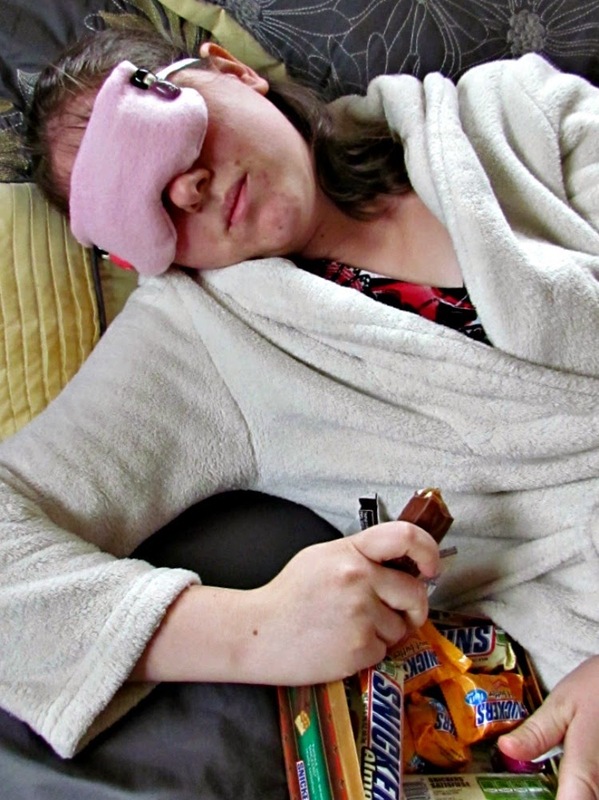 I also whipped up a cooling eye mask. This was so easy to make! 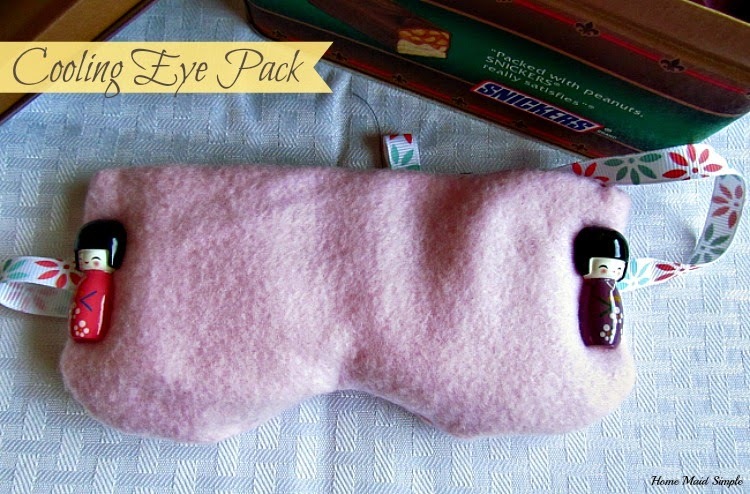 A scrap of soft fabric, a plastic baggie, some rice, and ribbon is all you need. My mom in law sent me these cute clothespin girls, but the clothespins broke off with the kids playing with them, so a little bit of super glue, and now I can relax in style. Did you know there are quite a few varieties of SNICKERS? I actually didn’t until I was walking through Walmart last week, and saw the SNICKERS Peanut Butter Squares. 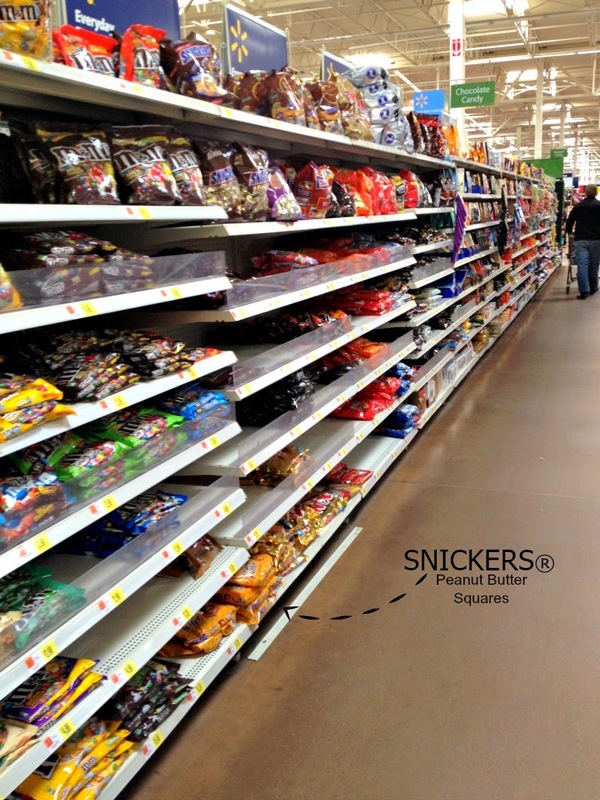 As I hung out in the candy aisle checking out the Peanut Butter Squares, I also noticed the SNICKERS Almonds – in the cart they went! I’ve heard there is also a SNICKERS Extreme. 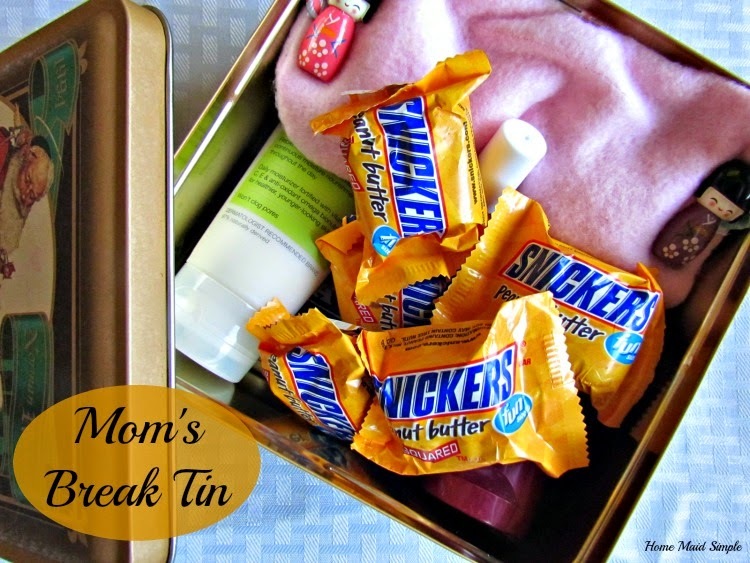 What would be in your Mom’s Break Tin? Leave me a comment! Then share this tin with your Mom friends who may be needing a break as well. This is a great idea! I might have to make a spin-off of this and call it my "life break tin"!! Life break tin – I like that. Yes, this can be easily adapted for anyone, in any walk of life. oo flower seeds, I like that. SNICKERS® are a must! I never knew I need a Mom Tin until now! Thanks for the fun(and tasty) idea! Everyone should have a mom tin! Mmmmm. I love Snickers!!!!!!!!!! I need a mom tin too!